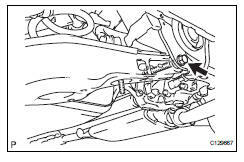 Loosen the bolt from the suspension member side. Support the no. 2 Suspension arm lh with a jack. Place a wooden or rubber block between the jack and the arm. 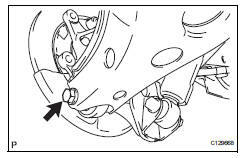 Remove the bolt and nut from the axle carrier side. Slowly lower the jack, and disconnect the no. 2 Suspension arm from the axle carrier. 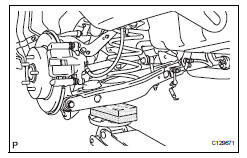 Remove the bolt, nut and suspension arm from the suspension member. Temporarily install the no. 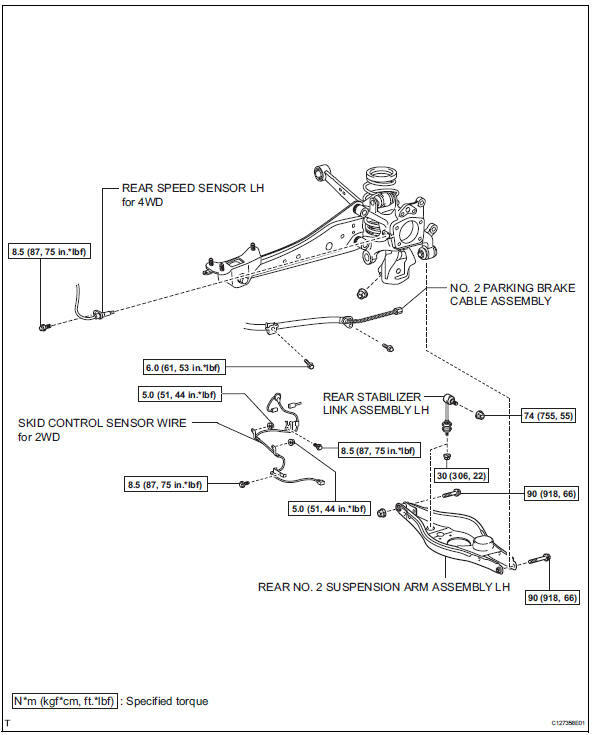 2 Suspension arm with the bolt and nut to the suspension member. Slowly raise the jack, and install the no. 2 Suspension arm to the axle carrier. 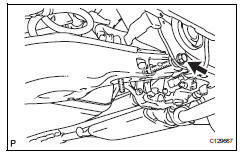 Install the arm so that the coil spring's distinguishing mark is on the outer side of the vehicle. Install the 2 nuts and 2 bolts. Do not tighten the nuts. 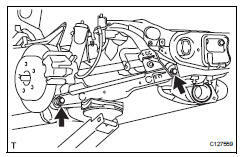 Inspect and adjust the rear wheel alignment (see page sp-7).